You can search Wordscapes Answers with the letters from your level to see all the possible words you can create with these. You can also still browse trough all the categories below to find the solutions you need. Searching with your letters above will give you the best results. Find your Wordscapes answers here. We will help you getting all the words you need to solve every level. This page will be updated continuously to provide you with the correct solutions. Every time there will be new levels then we will update this page with the newest Wordscapes answers. To find the cheats you need by the name of the level, just scroll down to see the overview of all the categories and pick the one you need the words for. Looking for the Wordcapes Daily puzzle answers? Please like this page on Facebook if you like Wordscapes Answers! Select a category below to check the answers for the level you need. When there are more levels available, you will find the answers here as soon as possible. When you can’t find a cheat to solve your level at this moment then let us know in a comment below. Tell us which letters you have and the words you have already found. We will then try to help getting all the Wordscapes answers you need. Some of the most difficult Wordscapes levels are Vivid 5, Dawn 1, Aqua 14, Arrive 12 and Serene 9. But there are still a lot of other different levels with a lot of words, and then there are the daily levels for extra fun. 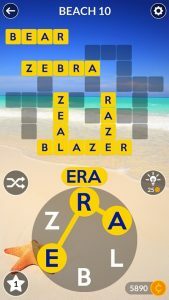 When you don’t want to be stuck in the game or want to use hints then you can use Wordscapes cheats by getting the answers here. There are thousands of levels, each with multiple words, and you can find them all here. Use our search engine to find words by the letters you have in the game, or browse through the categories. Create words on the board with the letters in the circle. Swipe the letters in the right order to create a word. If it’s correct then it will appear on the board. If you have found every word for the level then you are finished and can continue to the next one. Check the trailer if you want to see how the game looks. Wordscapes levels belong to different categories. You can find the answers at this page by selecting the category where your levels is at. We will make it easy for you if you are stuck. Get the game, play the levels! Still aren’t playing this game? Then download this app now! When you love word games then this is really great fun and easy to play. Wordscapes is available for Android and iOS. Choose your platform below to download. 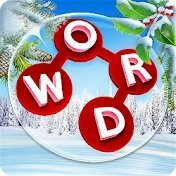 Wordscapes is also available for PC! Download it at the Microsoft store to play it. You can use coins in the game to use hints if you are stuck. Each time you finish a group of levels then you can collect coins. And if you find bonus words you will get some extra. If that’s not enough you can choose to watch advertisements and earn more Wordscapes coins with that. And if you want you can even buy them with real money. But if you are out of hints and coins then you can visit this page to find the words you need for free. If you need support for this game from the developer you can ask for help from Peoplefun here. Let us know in the comment section below if we helped you or when you need an answer that you can’t find. Make sure you comment the details about the level so we can help.